I’m Piotrek. 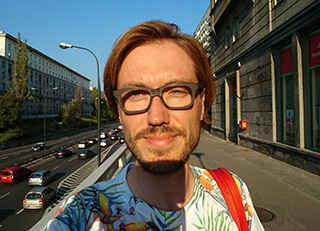 I live in Warsaw but I spend a lot of time abroad on business trips or city breaks in other European cities, and whenever I can on longer trips. As you can guess my hobby is travelling :-). While travelling I like trying local cuisine, getting to know the place’s culture and of course meeting locals. I love Warsaw because it has the feel of a young and dynamic city where old meets the modern. Where new places worth a visit are popping up all the time so you never get bored, even if you think you already know the city well.